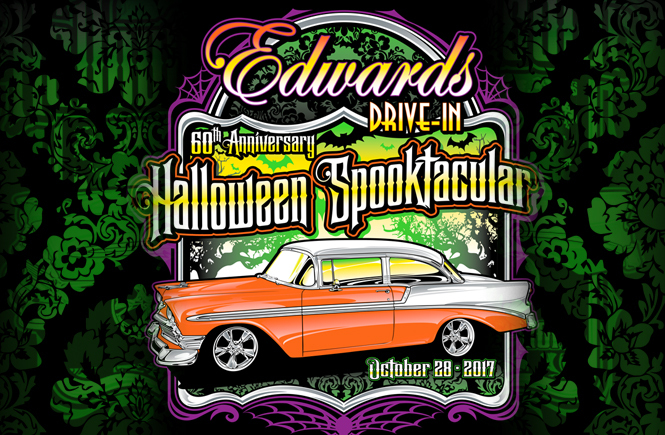 This past year’s Edwards Drive-In Car Spooktacular Car Show T-Shirt design was a fun one! I was happy to create another fun design for an event that falls during one of my favorite holidays. 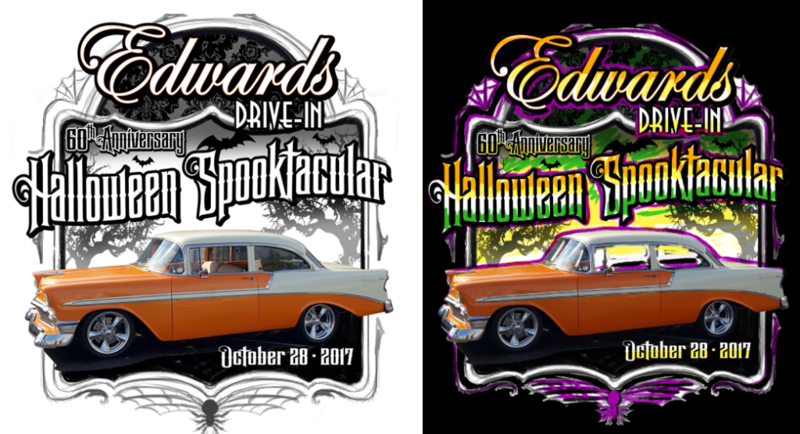 In this case the past show winner was an orange ’56 Chevy – what a perfect color for an awesome Halloween design! 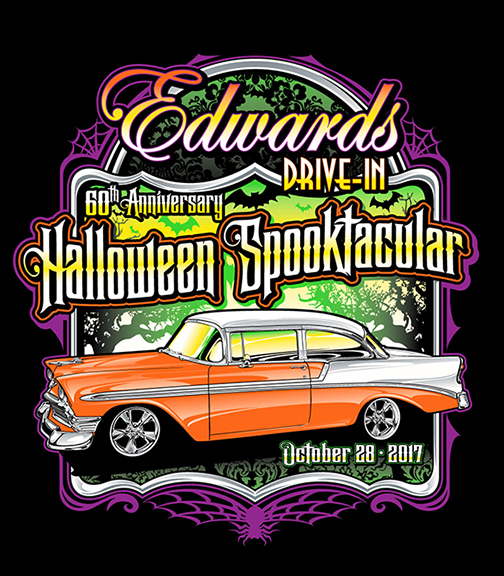 I build my shirt comps using photos, sketches, and vector elements – especially in this case when I had already purchased this awesome Halloween-ish font for a past project – LHF Phantom from Letterhead Fonts. Here is my initial comp plus a super rough color comp – I typically rough this part out in Photoshop. That met with a swift approval, so off to Vector Land it went! I had the Haunted Mansion on the brain, hence the spider webs, creepy looking trees, and old wallpaper pattern in the final artwork.